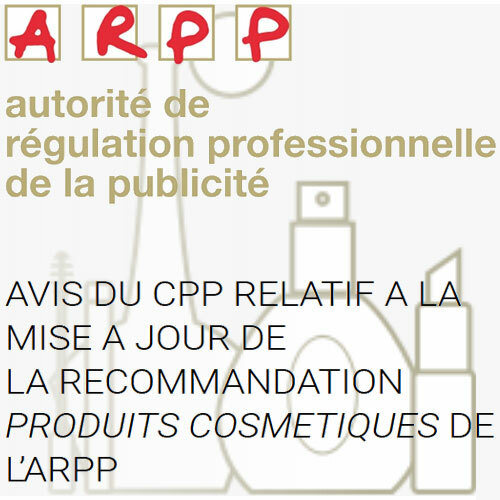 Home Articles News Professional bodies Claims: ARPP joint council in favour of an update of the Recommendation "Cosmetic Products"
The Recommendation “Cosmetic Products” of the ARPP (French advertizing self-regulatory organization) has set out the ethical rules for advertizing and claims specific to cosmetic products since it was first published in 1974. Last updated in June 2013 to take into account the changes implemented by Cosmetics Regulation 1223/2009, it should soon be reviewed again, this time to integrate the latest changes in the system applicable to claims: the CPP (joint council of advertizing) has just published an Opinion in this respect. In the Opinion of 6 June 2018, the CPP reminds that they received a request in November 2017 to re-update the Recommendation with a view to ‘take into account the new elements in this industry, and especially the changes on the European level,’ in particular Regulation 355/2013 laying down Common Criteria for the justification of claims in relation to cosmetic products. In this Opinion, the CPP does not make explicit reference to the Guidelines and the Technical Document attached to it, but their influence on the text adopted is obvious.